I wanted to play Mario Sunshine on Dolphin, thinking that my system should handle it. Turns out I can't get over 19fps, no matter what I do. Doesn't matter if I use dx11, opengl, or what my settings are, it's always really slow. I'm on the lowest settings right now and it runs just as slow as it would on the highest. I also checked the dolphin wiki, but nothing I try works. Other games are pretty slow as well and Wii games are basically a slideshow. Is there anything wrong with my system? Do you currently have it overclocked? If not, you should, its free performance. (04-28-2015, 08:44 AM)KHg8m3r Wrote: Do you currently have it overclocked? If not, you should, its free performance. 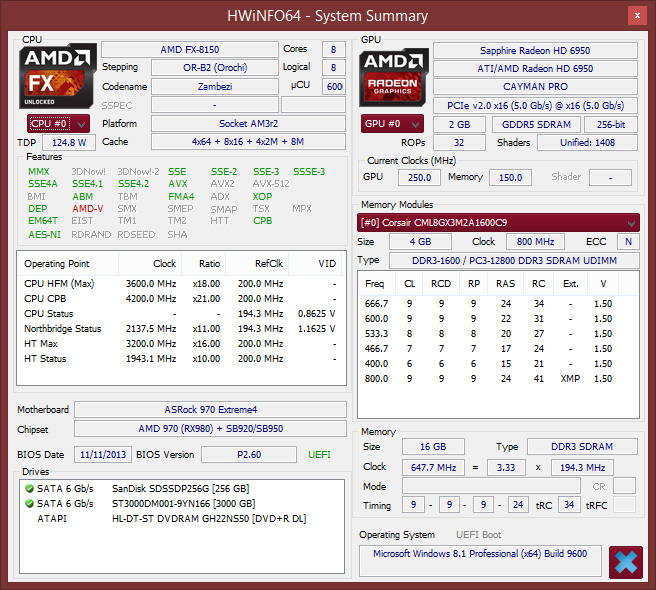 I haven't overclocked the CPU because I get really high temperatures, even without overclocking them. Even a new heatsink and constantly changing the thermal paste didn't help. Also, is Windows power management set to high power? Is the FX-8150 just a hot CPU, or is there something else going on there that would cause high temps? (04-28-2015, 01:34 PM)NKF98 Wrote: Is the FX-8150 just a hot CPU, or is there something else going on there that would cause high temps? Depends on what you call hot. Someone cooking pasta on a P4 Prescott, so yeah you can cook on them. Is your framelimit set to auto and do you use the latest development build of dolphin with default settings?